Holst Centre was setup in 2005 by IMEC (Belgium) and TNO (Holland), with government support. The center is located in Eindhoven, and has around 200 employees and over 20 industrial partners. The center is an independent R&D operation that develops generic technologies for Wireless Autonomous Transducer Solutions and for Systems-in-Foil. One of the programs in the Holst center is ‘Printed Organic Lighting and Signage’ - develops device designs for OLED lighting and signage applications, compatible with roll-to-roll (R2R) processing. The Holst Center presented a new functional demonstrator that uses the Holst' in-mold electronics (IME) technology to show new human-machine interfaces in automotive electronics and consumer appliances. One of the new technologies embedded in this demonstrator is flexible OLED lighting that is used to illuminate touch controls. 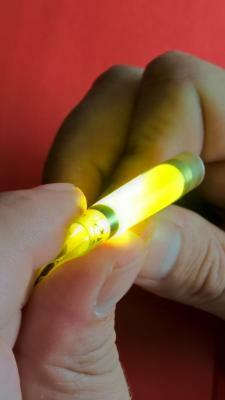 The Holst Center says that this is the first time a flexible OLED has been used to illuminate touch controls. 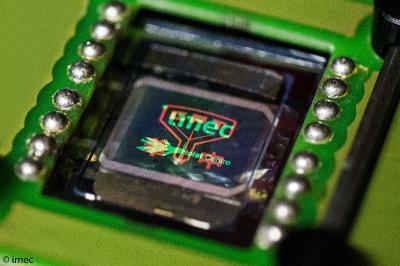 Usually several LEDs, light guides, complex wiring and bulky PCBs are required to achieve this effect. 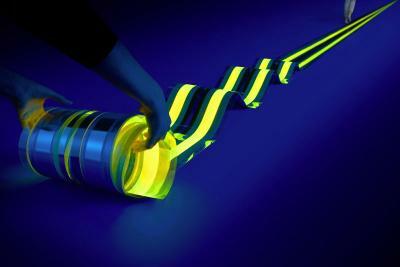 Flexible OLED lighting provides a much easier solution with complete design freedom. The Holst Centre, in collaboration with US-based ultra-thin ceramics supplier ENrG have managed to produce a flexible OLED lighting panel on a 20-40 um thick ceramic substrate. The researchers at the Holst Centre say that a ceramic substrate offers an excellent barrier, is easy to handle and can withstand the high temperatures used in display backplane manufacturing processes. The Holst presented the 12 x 2.5 cm prototype OLED lighting panel that you see above. A ceramic substrate can withstand temperatures up to 1000 Celsius - and can be made partially transparent. This could prove to be an interesting alternative to plastic and metal substrates. The €11-million 3-years European Flex-o-Fab project was launched in January 2013 with an aim to help commercialize flexible OLEDs. The Holst Centre, the project's coordinator, announced that the Flex-o-Fab successfully completed its goals - including developing indium-free electrodes (based on ZTO with a supporting metal grid) and brighter OLEDs (light emission was enhanced by about 30% using a plastic substrate with outcoupling features). The project used a distributed pilot production line and associated manufacturing chain involving partners and facilities at different locations across Europe. The project partners managed to migrate key processes from sheet-to-sheet processing to roll-to-roll production. . In the past two years, Evonik and the Holst Centre has been developing a new soluble Oxide-TFT material and a slot-die coating deposition process. Evonik is now commercializing the so-called iXsenic S material. In fact Evonik says that a key customer is introducing the product in a mass production display fab (it is unknown if this line produces OLED or LCD displays). Evonik says that their new material offers a performance good enough for high-resolution OLED and LCD displays, and it can be deposited in a coating process which lowers production costs.